Another thing that should be mentioned is that it also provides protection against Man In The Middle (MITM) attacks. With Kerberos or TLS it can perform a mutual authentication verifying the servers identity as well. NLA was introduced in Windows Vista and Windows Server 2008 and is default enabled. This should be enabled to all servers with RDP enabled. 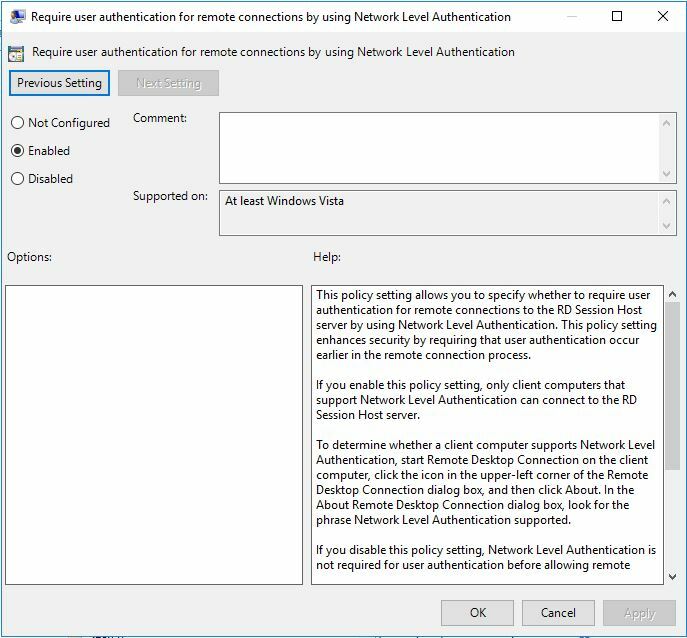 Enable: Configure server authentication for client and in the drop-down menu choose “Do not connect if authentication fails” for the strongest option. This should be enabled on all RDP clients. 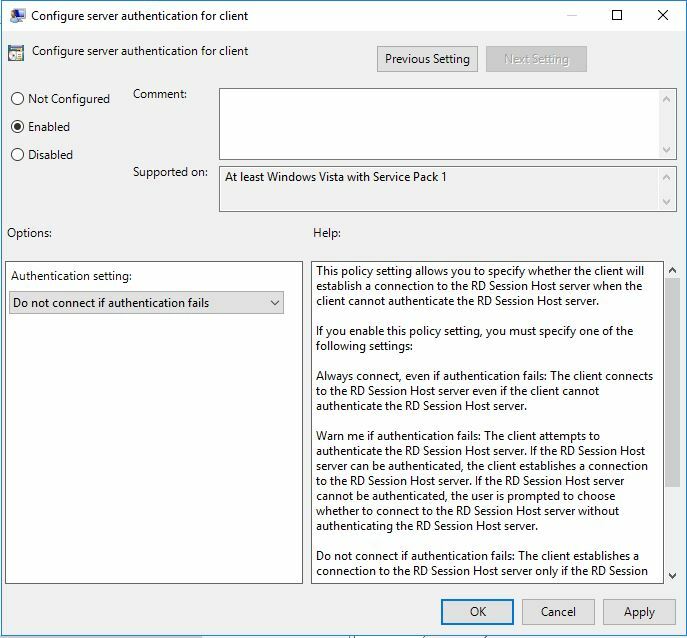 In a RDP session, this can also be verified in the session menu if you click on the padlock icon, you should get a dialog box stating the server has been verified. 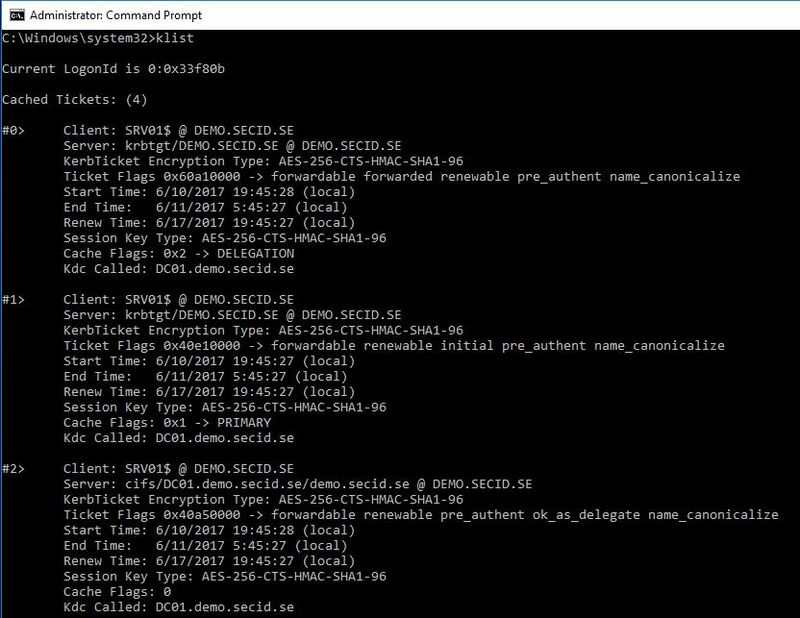 One problem when you jump around on different servers with RDP is that you will expose your credentials on each server you land on. 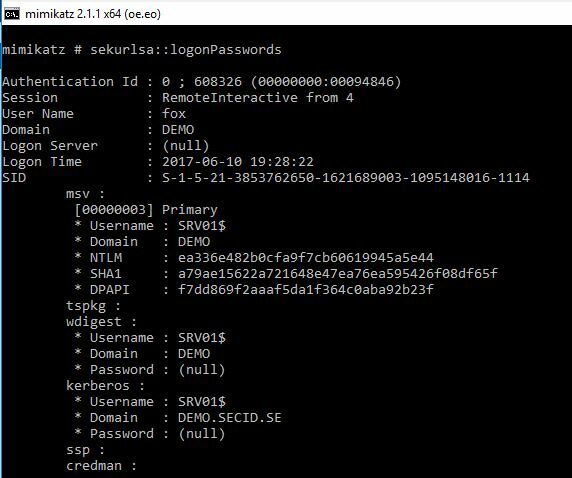 Since you are performing a remote interactive logon your credentials will end up in LSASS and you will have Kerberos TGT and other tickets as well. If that machine the admins land on is owned by a malicious user, he can easily steal the credentials and maybe gain access to new systems he wasn’t in possession of. 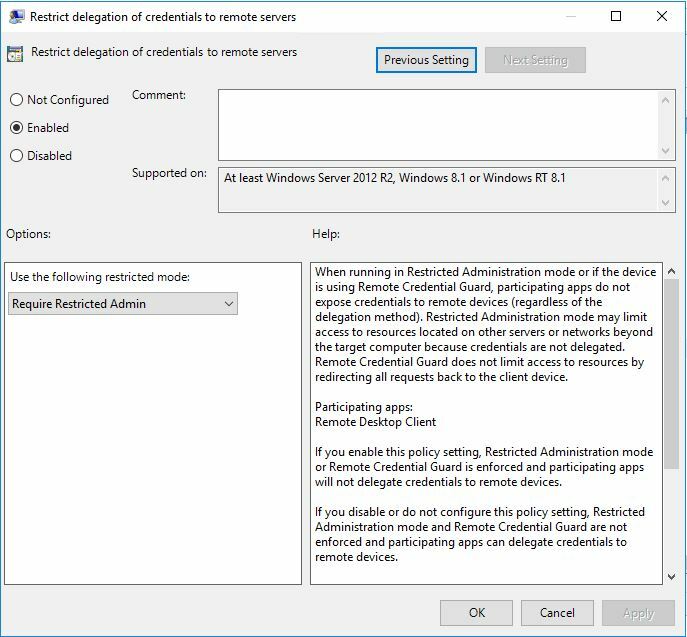 To protect against lateral movement, pass the hash and pass the ticket Microsoft introduced Restricted Admin Mode (RDPRA) in Windows 8.1 and Windows Server 2012R2. 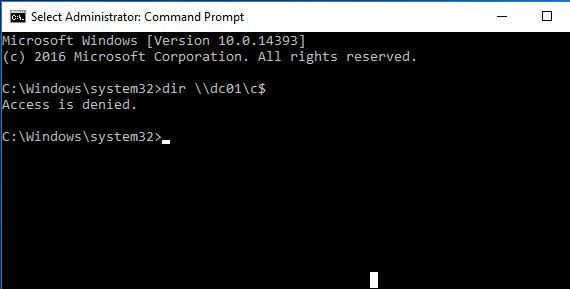 This is also backported down to Windows 7 and Windows Server 2008R2 to being able to initiate and receive RDPRA. When a user jumps to a server with RDPRA it performs a context switch and you land on the server with the servers identity. If we use whoami /user /groups /priv it will look ordinary. If DisableRestrictedAdmin has the value 0, it will be enabled. If its 1 it will be disabled. If DisableRestrictedAdminOutboundCreds is set to 0 it will allow outbound connections in the servers context. If it is set to 1 this will be denied. mstsc /restrictedadmin and we will see that the username is greyed out and you will get a SSO experience. Now when a user start the RDP client it will always use RDPRA. 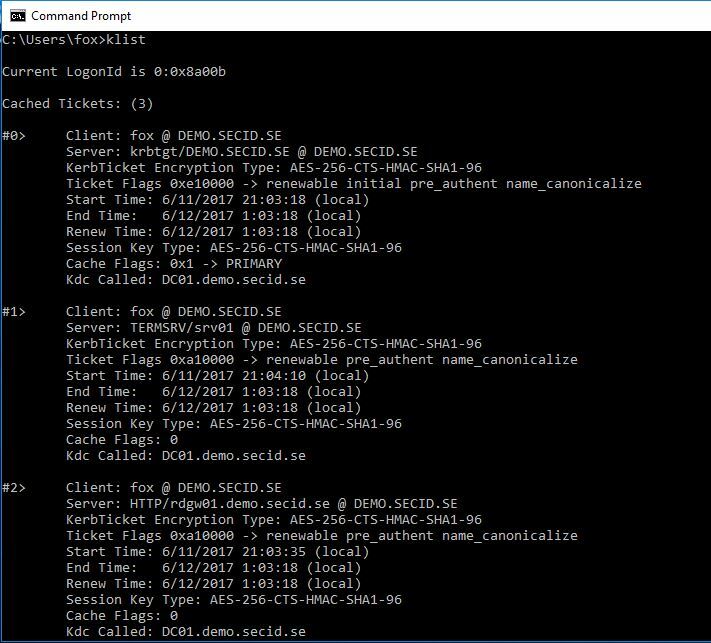 Now when we have protected the credentials on the remote server we will take a look at the client. The first thing people starts with is using a regular user account for daily work, e-mailing, internet browsing and so on. Then they have a separate admin account they use when performing administrative tasks on the system. The starting point of where that account is used the credentials will be exposed in different ways. The best start would be to introduce a PAW model with special workstations for administrators, separating the User and Admin accounts to different computers. This way we have a good disconnect and only expose our admin credentials on that machine. It is recommended to use Windows 10 and take advantage of Credential Guard and other technologies. If we have older workstations what can we do to protect them? 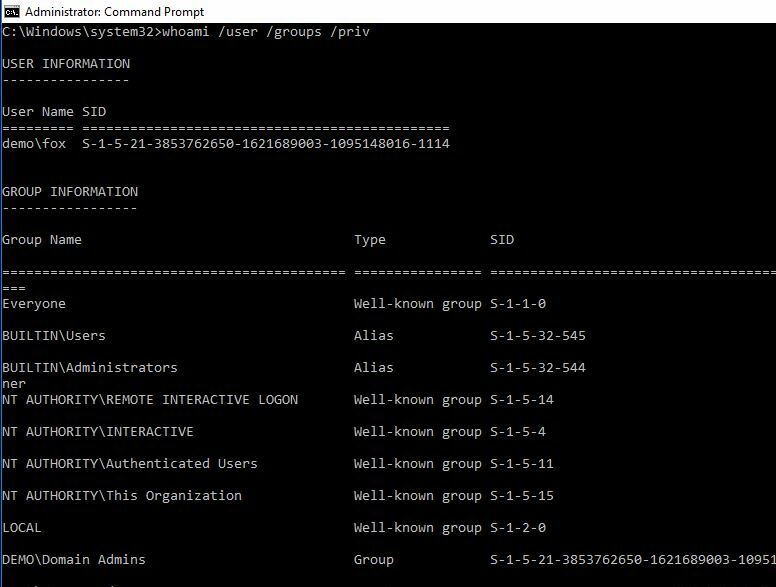 To make this as strong as possible we can take advantage of a group which was introduced in Active Directory on Windows Server 2012R2. Protected users was introduced in Windows 8.1 and Windows Server 2012R2. 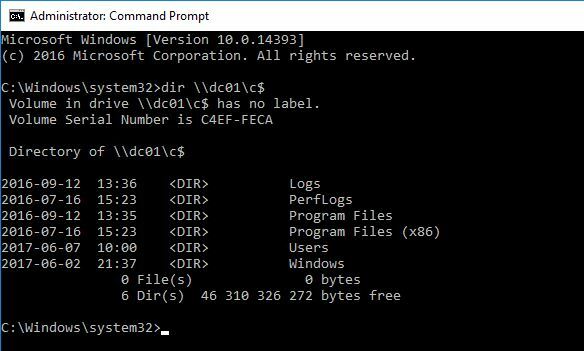 When a 2012 R2 Domain Controller has the PDC Emulator role, the group will be created in the domain. When a user is member of this group a few things happen on the DC side and the Client side. With users in this group we force them to use Kerberos with strong ciphers and the NTLM hash won’t be stored in LSASS mitigating pass the hash. This is a strong protection and needs to be evaluated if it’s possible to use. The client side protection was also backported to Windows 7 and Windows Server 2008R2 with the same patches as for RDPRA. With this in combination with RDPRA were starting to build a strong protection model with built-in tools. 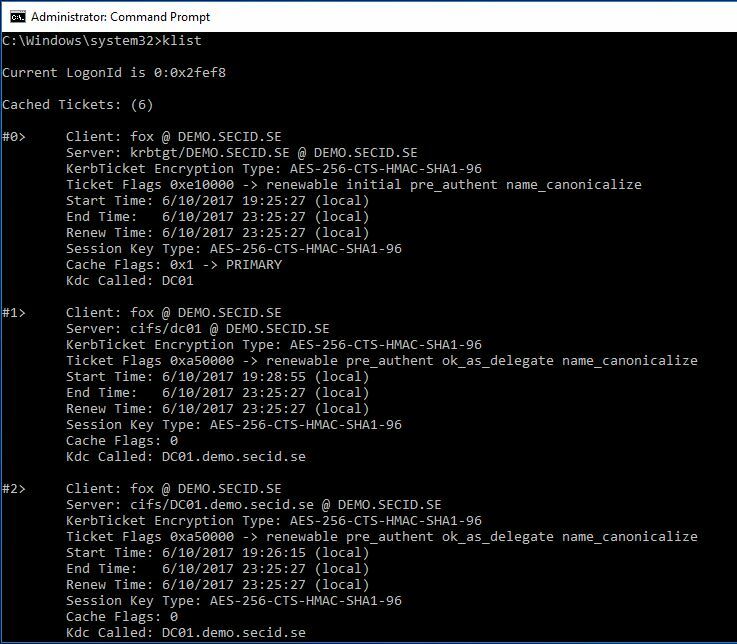 Since we’re using SSO when connecting RDP we get a protection against key loggers as well. Key loggers are a simple but powerful tool that often is used by malicious users and it works well. That is also a reason to have a separate admin workstation so you don’t need to expose admin credentials by using runas or jumping to a server with another account directly from the ordinary workstation. Note: this is just some techniques to protect against credential theft and depending on OS versions other things should be implemented as well. E.g. RunAsPPL, Authentication Policy and Silos, AMA etc. 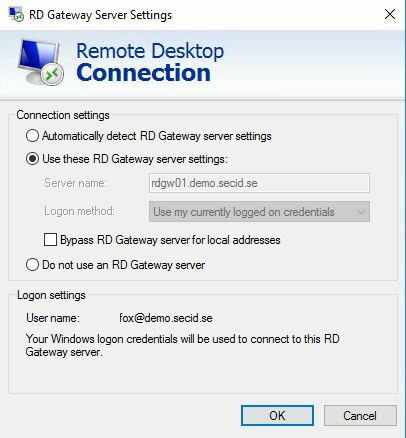 Speaking of SSO and RDP, what happens when we use Remote Desktop Gateway? 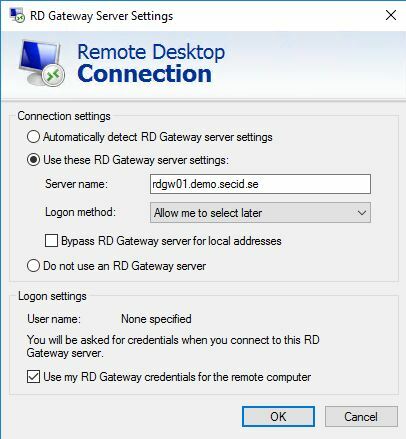 The last thing I would like to share in this post is about Remote Desktop Gateway (RDGW). With RDGW we can better control the RDP traffic in the network. If we configure the servers to only allow RDP traffic from the RDGW we have only one way in to the servers with our RDP traffic. In the RDGW we can dictate who can connect to the gateway, from which machine and to which machines. We can also control if MFA is required. With this we can also easily monitor the connections from a central point. I will cover more about how you can configure and use RDGW in part two of this series. Now we will just assume we have RDGW in our environment with the most basic configuration. 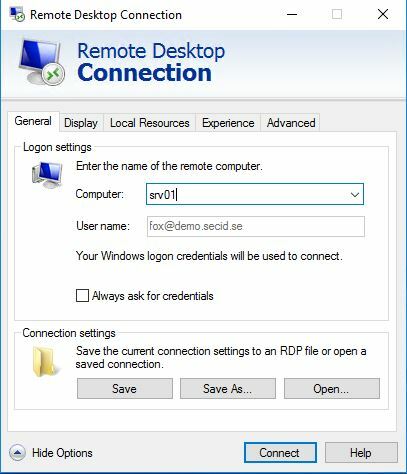 In the RDP client we can navigate to the Advanced tab and klick on the Settings button in the Connect from anywhere category. 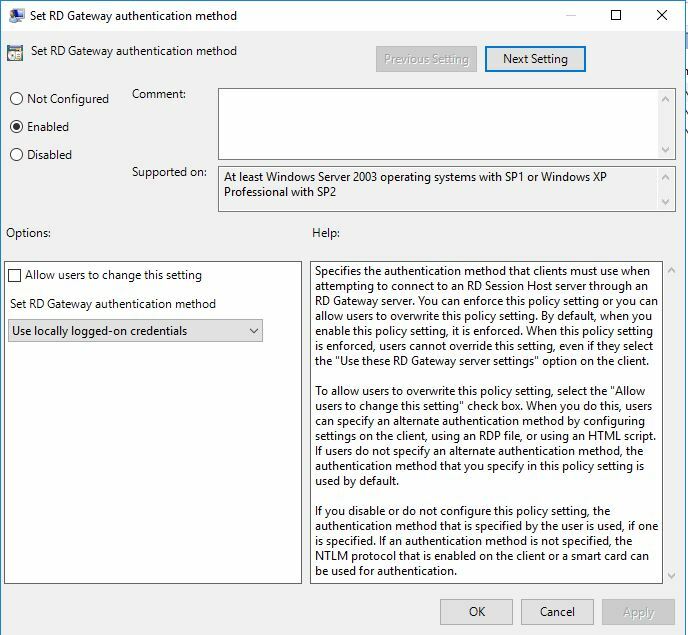 Here we can mark the radio button Use these RD Gateway server settings and configure RDGW server to use and choose logon settings. 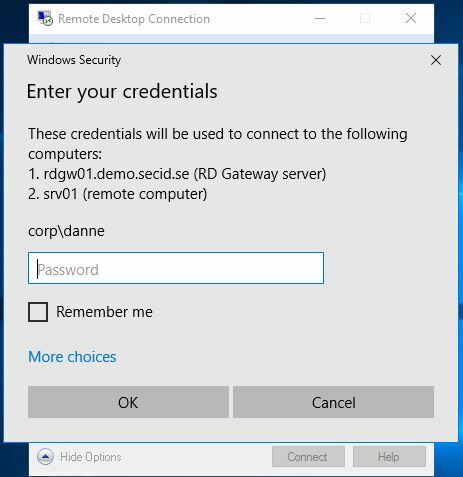 The problem with this is that when connecting to the RDGW you will get a logon prompt for you username and password, even if your using RDPRA. The only option you had was the box “Use my RD Gateway credentials for the remote computer”. On my admin workstations, I want to use my current logged on user credentials and take advantage of SSO minimizing the exposure of my password. 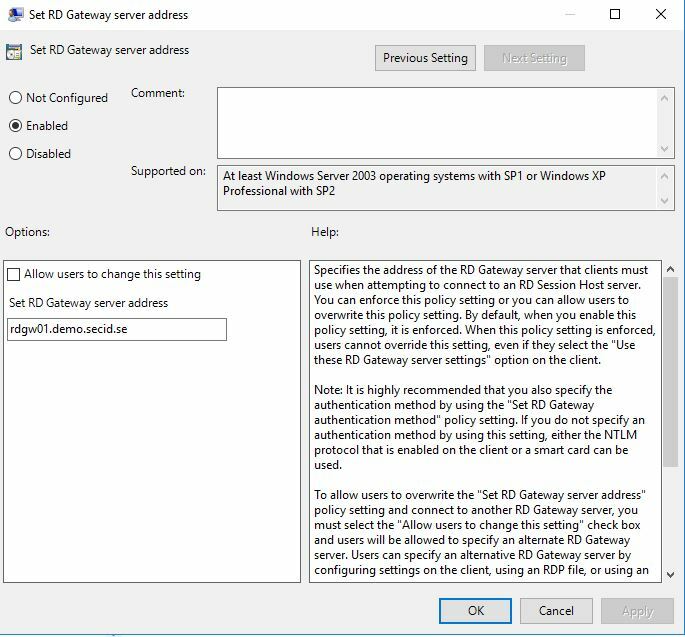 And in the same category we can also enable the policy Set RD Gateway server address and configure the RDGW address for the users. And this is really nice. My admin users are now members of the Protected Users group, is forced to use RDPRA via RDGW and everything is Kerberos SSO. In the next post, I will cover an interesting delegation model taking advantage of RDGW and RDPRA. 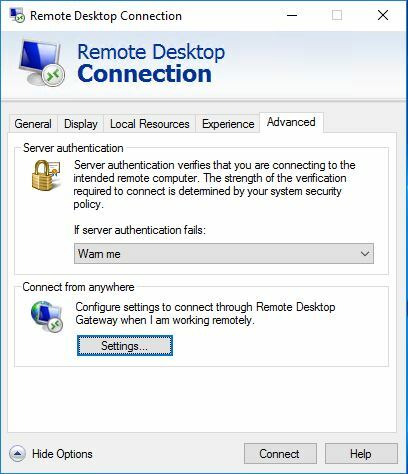 How are you using Kerberos with the Remote Desktop Gateway? Hi, you can only us it that way internally or via eg. Direct Access where you will have domain connection.